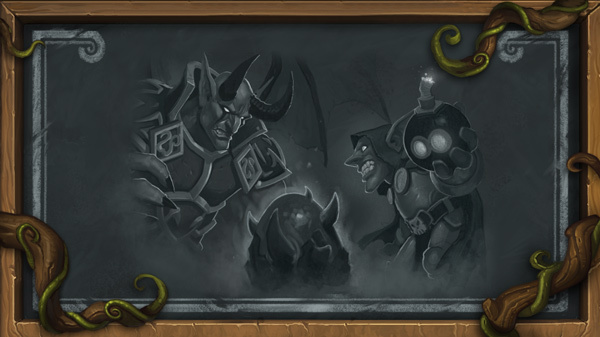 Celebrate all things Hearthstone with Wildfest, February 19 – March 11. We’ll be spicing up the Arena and offering exciting new Tavern Brawls, so get ready to go Wild! Starting on February 19 and lasting through March 11, the Arena draft will offer cards that are exclusive to Wild. Have an existing Arena run going? 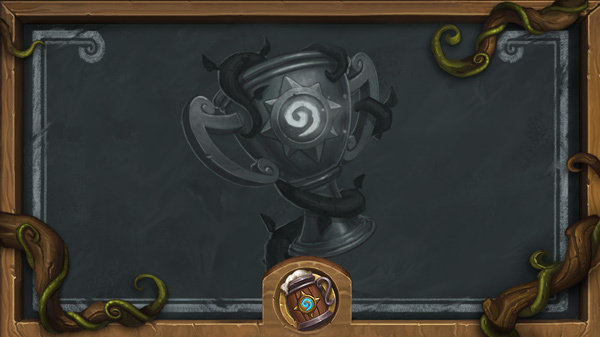 Be sure to finish it up before Wildfest begins – existing Arena runs will be retired automatically at the start of Wildfest. We’ll remind you that Wildfest is coming, so you have ample time to finish your runs before the fun commences. We’ve fashioned two Tavern Brawls celebrating Wild for you to partake in over the course of Wildfest: Venture Into the Wild and The Wild Brawliseum. Venture Into the Wild is a pre-constructed Wild Tavern Brawl that anyone can pick up and play in a snap. 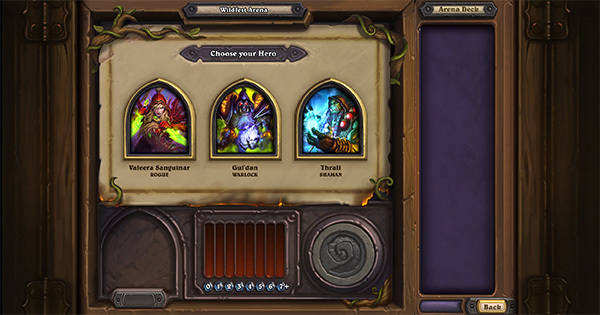 Just pick a class, and we’ll outfit you with a Wild deck that’s ready to rumble. We’ll leave the decks themselves a secret, so get in there and try each one the week Venture Into the Wild goes live. Venture Into the Wild is a great way to experience the fun of Wild, even if you don’t own a full Wild collection. 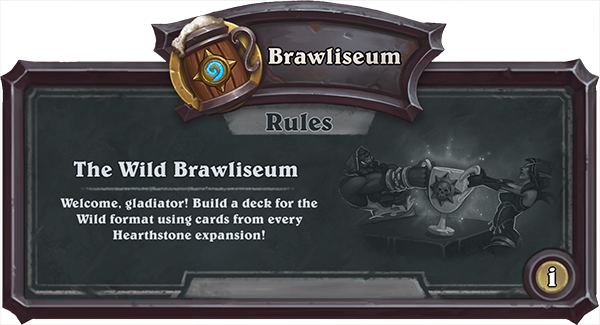 The Wild Brawliseum is a Wild Tavern Brawl aimed at the competitive Hearthstone player that wants to put their skills and collection to the test. The Wild Brawliseum uses player-built decks that are locked in for the duration of the run, and has an entry fee that uses Gold or real money. Players battle each other until they hit 12 wins or 3 losses, just like Arena. The rewards offered are also the same as what is offered in the Arena, so get in there and give The Wild Brawliseum a try – the first run is free! We hope you enjoy the excitement of Wildfest! What kind of decks are you planning on building for the Brawliseum? Let us know in the comments below! If you've got a competitive itch for the Wild format that you're looking to scratch, you can learn more about 2018's Hearthstone Wild Open here.